A MHPP Bočac 2, with installed capacity of 10 MW, today is officially put into operation. The new hydro power plant is located on the Vrbas River, seven kilometers downstream from the hydro power plant Bočac 1 and will produce 42 GWh per year. This hydropower facility represents the realization of the 37 years idea old and it is one of the new sources for kilowatt hours of green energy which are very important for the system of the Electric Power Industry of Republic of Srpska. The construction project of MHPP Bočac 2 is a venture which has previously led in, Elnos BL a complete electromechanical and hydro-mechanical phase of works. We were involved in all segments of the construction project MHPP Bočac 2, from making a complete manufacturing and technical documentation, harmonization, delivery, installation and testing of electromechanical and hydromechanical equipment, functional testing and in the end commissioning power plants into operation. The particular specificity of the MHPP Bočac 2 works was related to the phase of incorporation of the two capsular generators which was preceded by several months of challenging work process of team ELNOS BL. 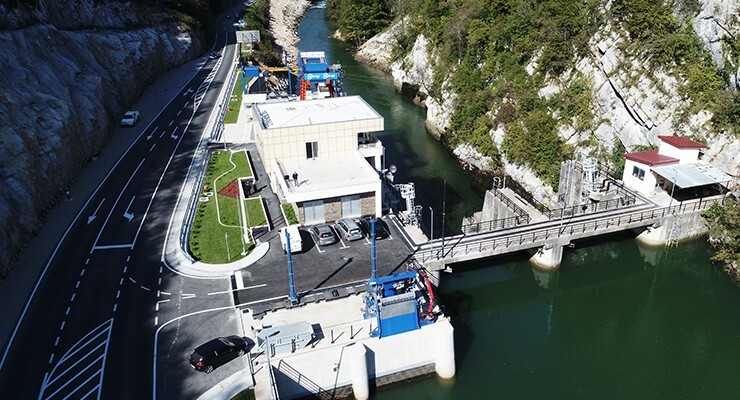 Capsular generators installed capacity of 5 MW and weigh 55 tons, were in one of the last phase of construction of MHPP Bočac 2 were completely submerged in the water, 21 meters below the level of the access plateau. Works on the project MHPP Bočac 2 is a confirmation of Elnos Bl method “know-how” and the status of a company which is very well acquainted with modern technology and with own resources can realize complete electromechanical and hydro-mechanical phage from projecting equipment to the commissioning of the facility. MHPP Bočac 2 is a very complex project where we applied modern project management and quality control. The venture of construction of MHPP Bočac 2 we were realized in cooperation with the investor ZP Hidroelektrane na Vrbasu Ltd. Mrkonjić Grad and our consortium partner Andritz Hydro S.A.S.